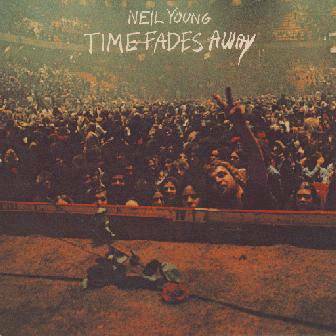 *IN THE FIELD OF OPPORTUNITY / IT'S PLOUGHING TIME AGAIN* crooned Neil Young back in the late 70s. Yet at no time have those eager sentiments seemed more appropriate to the Canadian singer-songwriters mercurial career than in the 90s. Right now, in fact, in 1995 - the year he celebrates his 50tb birthday this November 12. In the first two months alone he was inducted into the Rock And Roll Hall Of Fame, playing there backed by Crazy Horse, then recorded an entire album of new material in four days backed by Pearl Jam in Seattle. He also re-signed to the troubled Warners record division in a 'prestige' deal that, as a spin -off from the divisive boardroom squabbling that has so publicly embarrassed the company of late, ended up netting him (according to Vanity Fair) many more millions of dollars than he might otherwise have merited on previous record sales alone. The new head of Warners who inked this extravagant deal was Danny Goldberg, previously the manager of Kurt Cobain, the haunted young rock star who'd quoted Young's line *It's better to burn out than to fade away* in his suicide note back in April l994. Young was apparently devastated when he heard about it, and since has staunchly refused to address the subject directly, even though Cobain's ghost hangs heavy over his last two albums, Sleeps With Angels and Mirror Ball. In early spring, he sat down in the studio with just an electric guitar and thumbed a series of melodies and themes, some familiar, some brand-new, to provide music for Dead Man, New York director Jim Jarmusch's black and white cowboy drama starring Johnny Depp and Robert Mitchum. Young had never heard of Jarmusch before, but, when approached via his management, fell in love with the movie's rough cut. Not only did he soundtrack the film, but he turned up with Depp and Jarmusch at the Cannes Film Festival in May to promote it. Next, he regrouped with Crazy Horse, cut a couple of new songs he'd written for the group, and played lead guitar for the band's soon-to-be-released album featuring songs written by the other members. He also found time to cameo on new albums by Bobby Charles and his old Canadian guitar hero, Randy Bachman. By this autumn, Goldberg was no longer Warner Bros Records President, but Neil Young, fresh from an ecstatically received tour of European festival gigs, was very much part of the rostrum - indeed, now suddenly boasting his very own record label, Vapor, and a list of upcoming releases including the Dead Man soundtrack and a West Coast rock band called The Stonecutters. Most interesting of all, Young and his manager Elliot Roberts have signed one of the few rock iconoclasts perhaps even more bloody-minded than he is himself - Jonathan Richman. A new record is finished for imminent release. As if all this was not enough, Young devotes his spare time to an alternative vocation. Inspired by his quest to communicate as fully as possible with his severely retarded and crippled 17-year old son Ben, Young invents devices, including, this year alone, a specially modified electric wheelchair and computer - *Ben is my assistant; he's my tester* - that can help the handicapped to express themselves. He is also involved with, and partly funds, the Bridge Foundation, a special school for handicapped children run by his wife Pegi. *I don't really do much* he'll shrug; *I'm just a figurehead, public relations kind of guy. My wife does all the work. * Most recently, Young made a take-over bid for Lionel Trains, a toy company beloved by he and his son. At six-foot-two with a weathered face and suspicious, penetrating eyes, Young is an imposing figure at the best of times, and his renowned antipathy towards journalists (his first ever review, back in Canada in 1964 described his songs as *just a string of cliches*, and he seems to have borne a grudge ever since) can make him a nerve-wracking interview. But during the two sessions (October l992 and June l995) from which this interview is culled, when his frosty veneer cracks, you feel his warmth, sincerity, argumentative idealism and generosity of spirit rise to the fore. He is, above all, a very, very funny man with a dry sardonic wit bubbling just under the surface whenever he speaks. Young's 11-year-old Amber accompanies him to our 1995 interview in San Francisco. The youngest of his three children (his eldest Zeke, now works for a record company in Los Angeles), Amber is the only one not to suffer from cerebral palsy. She has her mother Pegi's blonde hair, a glowing West Coast complexion, and a pair of remarkable eyes the living spit of her father's. During a short filmed interview with Young for MTV, she manages to get herself filmed briefly standing next to her father, and then spends the rest of the afternoon haranguing him to make sure she appears in the finished report. He, of course, has other ideas. "Listen honey", he mutters, "Take your old man's word for it, OK? You don't need the exposure."